Cutting Edge is proud to announce that our facility has recently been awarded the highest security rating, AAA Certification by NAID (National Association for Information Destruction), further assuring our customers that a tough and rigid guideline of policies and procedures is consistently followed to guarantee the highest level of security. The NAID Certification Program establishes standards for a secure destruction process including such areas as operational security, employee hiring and screening, the destruction process, responsible disposal and insurance. For more information about this certification visit www.naidonline.org. Chicago Land’s Premier Recycling & Document Destruction Company. Cutting Edge Ensures Piece of Mind One Document at a Time. Cutting Edge Document Destruction services the Entire Chicago land area and Suburban Markets. We offer recycling and destruction services for Corporate, Government, and Residential clients. Our secure shredding facility is conveniently located in downtown Chicago, and we also offer a drop off location in Lombard, IL. We are HIPAA Compliant preventing any fraud or abuse for our healthcare, legal or government clients. Our Clients can Log on to our secure network to View their Destruction LIVE. Contact us today to find out more. We provide Secured Containers on site. Cutting Edge offers a large selection of Bins, and Consoles to fit any office, or location. These are serviced at your location, and emptied on a scheduled basis. We provide all security containers at no additional charge to you. If you only have a small amount of documents to be destroyed, no problem. Smaller volumes can be dropped off at one of our convenient locations. Cutting Edge offer 2 locations to serve you. Contact us today to inquire about our Drop off service. Moving Offices? Need to destroy old medical records, or legal documents? No matter what the volume of paper or material Cutting Edge can handle the job. We can schedule a pick up at your location and transport it to our secure facility where it is bailed, and sent to our recycling plant. You can view the entire process live from our secure network. Trust us to make sure your documents are destroyed. Hard Drive Destruction: Hard Drive Destruction: Cutting Edge offers Hard Drive Destruction and Electronic Recycling services for end of life computers. We can destroy hard drives in photocopy machines, old computer hard drives or any other electronic devices. We can come to your facility, or you can drop off at one of our facilities. We understand these contain large amounts of personal data, and you can rely on Cutting Edge to ensure privacy and reliability in our Hard Drive Destruction services. Computer Media and Electronic product destruction: Computer Media and Electronic Product Destruction Services: Anything from Laptops, Desktop workstations, cell phones, backup disks, product packaging or any other form of proprietary materials. Cutting Edge can recycle or destroy anything you need. 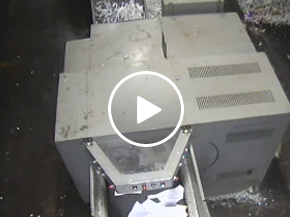 Contact us today to inquire about our Electronic and Product Destruction services. Cutting Edge Document Destruction is not NAID AAA Certified for this offering but does sub-contract Hard Drive Destruction through a NAID AAA Certified partner in Hard Drive Destruction. For more detailed information please click on our services Tab, or Contact Cutting Edge today for a Free No Obligation quote today!